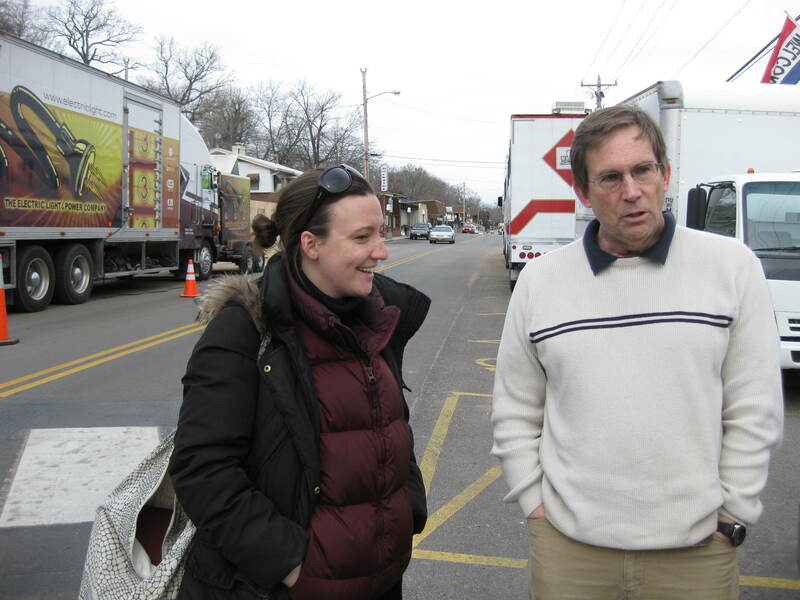 The filming of Daniel Woodrell‘s novel “Winter’s Bone” at various locations in the Forsyth area will conclude next week. The story of the novel and movie concerns an Ozarks family affected by meth and violence. The silver lining to this depiction is that the process of making a movie puts cash from elsewhere into the local economy. This time of year, especially, that seems to be a good thing, since local unemployment is in double digits. I was invited to lunch yesterday by Jerry Jones, director of the Missouri Film Commission, who was making a visit to the set. I dined at Cantina Laredo with Jerry, his wife Pam (who is my friend from college days), Branson mayor Raeanne Presley, Steve Olson of Springfield, Bill Lennon of Branson, and Andrea Sporcic, assistant director of the Film Commission. 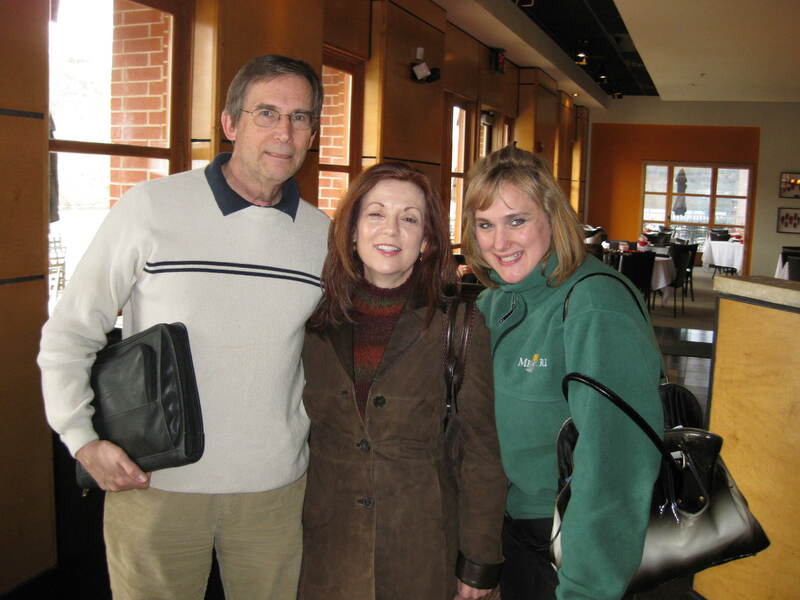 When Mayor Presley was on the Missouri Tourism Commission, she became acquainted with the work of the Missouri Film Commission, whose effectiveness in recruiting film productions to Missouri depends on Missouri’s film tax credit program, which provides an incentive for filmmakers to come to Missouri in the form of state tax credits for those film productions that spend a substantial amount of money in the state. The production company has been lodged at Branson Landing, with a production office at the Branson Landing Convention Center. The company has hired extras locally and at least one local has a speaking part. Some of “Winter’s Bone” has been filmed in around the Pine Ridge community on State Highway H between Forsyth and Chadwick. Yesterday, interior scenes were being filmed in the Rockaway Beach city hall and at a tavern in Rockaway Beach. As with any economic development incentive, film production tax credit programs have opposition. The benefits are local and temporary; the costs are spread broadly and over time. But during this bleak winter, it’s great to have outside money being spent where I live. Posted in Branson, Missouri, Ozarks, Ozarks economy and tagged Branson, economic development, economy, Forsyth, Missouri Film Commission, tax credits. Bookmark the permalink.